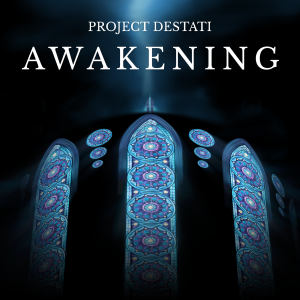 Project Destati: Awakening is the first in a series of arrange albums headed by Sebastian Wolfe, taking for its subject the music of the Kingdom Hearts series. The arrangements have a mix of synth orchestra with live instruments and tend to have a sound quality much better than their original PS2 counterparts, and just below or on par with the HD ReMix remastered tracks. This first EP features five tracks and seeks to establish the arranging style that can be expected of future albums. In the case of Project Destati, these arrangements are neither mere remasters or full interpretative remixes, but rather they are re-workings of the original soundtrack that gives each track new life reintegrated into the Kingdom Hearts music universe. “Destati” opens the album on a rousing and epic note. The track at first proceeds like one might expect a fan remaster to proceed. The team uses samples and instruments that are close to the sounds of the HD remaster track, some a bit lower in quality like the choir, and some that sound great like the solo instruments. 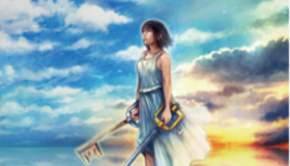 What sets the arrangement apart from other versions of the song is the inclusion of other themes and motifs, notably that of “Dearly Beloved” and “Fate of the Unknown” at various parts throughout the song. So while it perhaps can’t hope to match up to the superior sound of the fully orchestrated drammatica version of the track, this arrangement is worth having for the neat incorporations of other songs in the series which make the track feel more fresh and weighty. “Treasured Memories” is next and showcases the team’s handling of a slower track. In a small sidestep from the piano and strings original, the new arrangement opens with a lone harp, softly accompanied by strings before bringing other instruments in. It wins over the original piece simply by having more to do; the opening takes its time with fragments before fully introducing the theme in its beauty, and it isn’t afraid to make some adjustments to that theme as it ushers in a small ensemble alongside the piano, each echoing the theme with some variations. The familiar elements of the wistful piano and strings are still present, and the ring of other instruments helps the theme shine, rather than suppress or hide it. There’s also a great nod to “Riku” in the track as well, which I didn’t notice until several listens in. “Sinister Sunburn” is the team’s take on a regular battle track, fusing together “Sinister Sundown” and “Sinister Shadows” (with touches of motifs of others songs as well). The influence of “Shadows” gives the arrangement a grandiosity that the original “Sundown” lacked, particularly with the soaring strings. The xylophone also permeates both songs for a more unified sound. The greatest draw to the new arrangement is likely that the track no longer simply meanders and loops as the originals do, but instead have a more defined beginning and ending and a great forward momentum throughout. “Another Side” is another cinematic track. It proceeds roughly the same as the original for the most part, with its slower opening that builds up into the battle section. 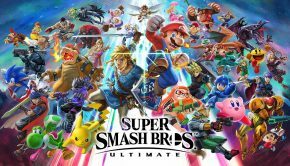 This time, there isn’t too much done to improve the track, save for the cameos of a few key and perhaps surprising character themes. They’re small moments, but they justify the track next to Shimomura’s stellar original. Closing the album is an arrangement of a field theme, “End of the World”. It sounds just as good as the original and remastered tracks, and as it goes it subtly brings up the size of the sound with more supporting instruments. It doesn’t do much more different than that, but it eases out the album on a cliffhanger of sorts, reminding us that there is much more to come. Project Destati: Awakening is a great first EP from the Project Destati team. The arrangements do a great job of keeping the spirits of the original, while also making them stronger with some shifts in instrumentation, insertions of other themes connecting the pieces together, and better defined progression and structure rather than loops. It makes the pieces easy to return to, as there is a lot that the team has hidden within the tracks that is fun to discover. The sound quality is also good, despite not having the benefit of a full orchestra. 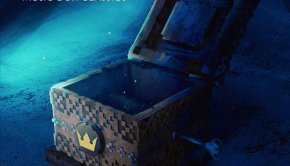 While it is just a teaser, there is great material on here and any Kingdom Hearts fan owes it to themselves to pick this up, while also keeping an eye out for what the team has planned next. Posted on March 30, 2015 by Christopher Huynh. Last modified on April 10, 2015.